New Zealand mortgage advisers have expressed their disappointment at recommendations from Australia's Royal Commission, including bans on commission and a possible move to a fee-for-service model. The Australian Treasury supports Kenneth Hayne's recommendation for a ban on trail commission, while it will explore banning other forms of sales commission. The government will also look into the feasibility of a fee-for-service model paid for by borrowers. The FMA says "it is currently reviewing the report and considering its implications for New Zealand". The New Zealand government called the report "concerning" but pointed to several changes underway to protect consumer interests here. New Zealand advisers have criticised the recommendations from the Haynes report, but have called for calm in the industry here as it awaits the fallout. John Bolton CEO of Squirrel Mortgages, described the report as a "massive backwards step" for advisers and a "witch hunt". He said: "I was disappointed that they jumped into commercial relationships, when their evidence was anecdotal. I didn't see any proper analysis. Trail sets up an [adviser] business to be customer focused, rather than being focused purely on sales." Bolton acknowledged changes to trail look imminent and will have an impact in New Zealand: "There are only a few banks paying trail and it disappeared post GFC, so we have been through this before." Bolton doubts whether the Australian Treasury will find a fee-for-service model feasible. "I think it is a red herring. The report was overly idealistic and lacked insight. Fee-for-service would stifle innovation and creativity and encourage a monopoly." Bruce Patten of NZFSG said the Royal Commission final report had caused uproar among its members. He said advisers need to wait to assess the real impact on Australia, and possible knock-on effects here. Patten said: "We have a measured approach to the situation. There is going to be pain in Australia but it is hard to know what that pain looks like here. We have been through worse things, such as the GFC, and survived." Patten was critical of the report's call for a ban on commission, and the suggestion of fee-for-service. He said: "If a client got something for free yesterday, why would they pay for it tomorrow?" He said he was hopeful the Treasury would decide against a fee for service model. "The Treasury has left the door open to review [fee-for-service] and if they find it is wrong, they can make an alteration." Patten said the trail ban could force advisers to review their product offering. "We have a business opportunity now. We have a wealth of customer data. Advisers should be asking 'how can I be more to my client'? There is plenty of upside to widen the scope of what you do for clients." 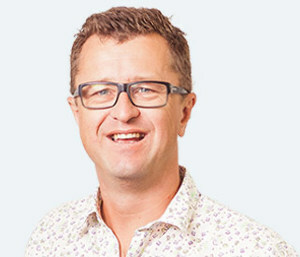 Craig Pope of Wellington-based Pope & Co Mortgages said the future of trail looked "shaky". He added: "If it does stop there it will probably stop here as well. There's a good chance clients will not get the same quality advice. Pope said it would be more difficult for adviser businesses in the coming months. "We will have to be cautious over the next few months. It does make me nervous about expanding our business any further. We may have to be more cautious with our growth plans." While Kris Pedersen, of Auckland-based Kris Pedersen Mortgages, said changes to the Australian fee model would "strengthen" banks. He said the changes would be "more likely to hit smaller banks are non-bank lenders as consumers will not be exposed to as much of the market". Pedersen said his firm dedicates trail fees to customer service, and rejected Haynes' comment trail was "money for nothing". Pedersen added: "We have one staff member whose primary function is assisting clients in managing their mortgages and the trail income contributes and is in place for this exact service so the comments that brokers are receiving income for nothing doesn’t seem correct to me." Great points, has there been any analysis or are Commissioner Hayne's comments and recommendations just based off the self serving comments from CBA CEO Matt Comyn? I too employ a full time staff member whose role is to provide ongoing service & support to our existing clients. The reintroduction of trail has allowed me to focus on being a long term Adviser to my clients with the goals of paying their debt down quicker and building wealth. "Money for nothing", the Commissioner has clearly spent no time in professional Advisers offices. Another comment the Commissioner made was that with lenders paying Advisers that ultimately puts the rates up. If the 60% of mortgages in Oz that go through Advisers went bank direct, the banks would have to employ a lot more staff and pay them to prepare the applications which as most readers will know is very time consuming. Would the banks just soak up that cost? No, it would be passed on to consumers via interest rates/fees. Where is Commissioner Haynes getting his information from? It is a travesty to have as a result of an enquiry into the banking system that the end result could be to legislate against a particular delivery method of home loans. Especially when the process which is being taken of the table happens to be favoured by most Australians consumers and by the smaller suppliers of lending.